Over the last few years we have seen the disappearance of Analog gauges in vehicles. They are being replaced with digital screens, door handles are disappearing and being replaced with touch sensitive pads, and the traditional gear shifter is being upgraded to a simple electronic switch in some modern cars. So what’s next automotive technology? Whats next for the evolution of our windshield technology? 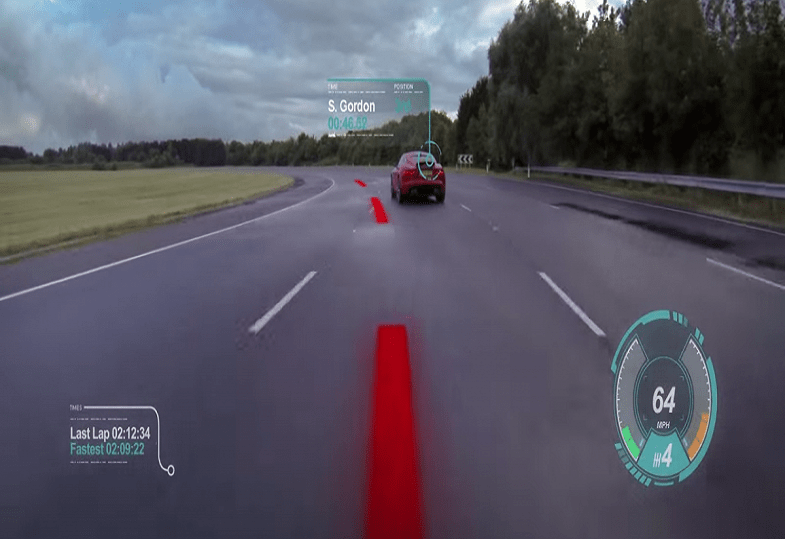 Jaguar and love interest Land Rover announced the virtual windshield concept that will aid those sitting in the drivers seat to perform better on the road and track. This new technology will project speed, navigation and safety data right onto your windshield. Heads up displays are nothing new. Originally developed for fighter jets so pilots could keep their eyes on the sky for possible threats rather than looking down at gauges. They moved into vehicles as early as 10 years ago, but heads up displays or HUD systems have always been restricted to a small space on the windshield just above the steering wheel. 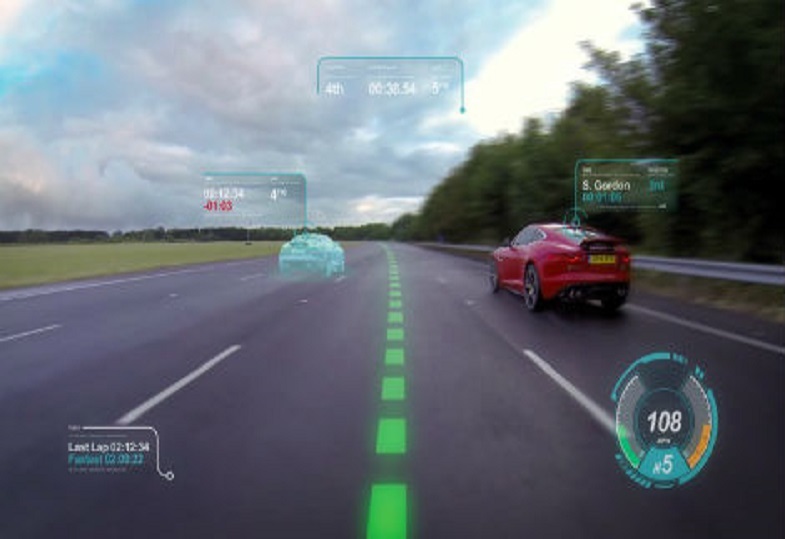 However this latest development by Jaguar/Land Rover demonstrates a virtual imaging windshield technology that could offer drivers a three dimensional picture of Instrument cluster and replace things like the rear view mirror. Jaguar tells us that the 3-D cluster and gesture control will be part of an “En-Suite” concept technology package that will reduce driver distraction. The Virtual windshield techonology concept uses the entire area of glass as a display so the drivers eyes need never leave the road. Virtual windshield techonology, just like a video game showing previous paths of competitive vehicles around the track and offering the driver suggested driving lines that should be followed for the best racing results. This new windshield technology will help race car drivers improve their lap time with the ghost car Visualization of your car on previous laps or you can compete against another car virtually making race training safer. The whole windshield is turned into something that looks similar to a video game. These are all major steps that auto manufactures are making towers the fully autonomous car. In the future there may be no need to actually tocuh anything in the car, the whole driving process might be done by hand signals and looking where you want to go. The Jetsons having nothing on this. IS TESLA GOING TO BE SELLING S3X?